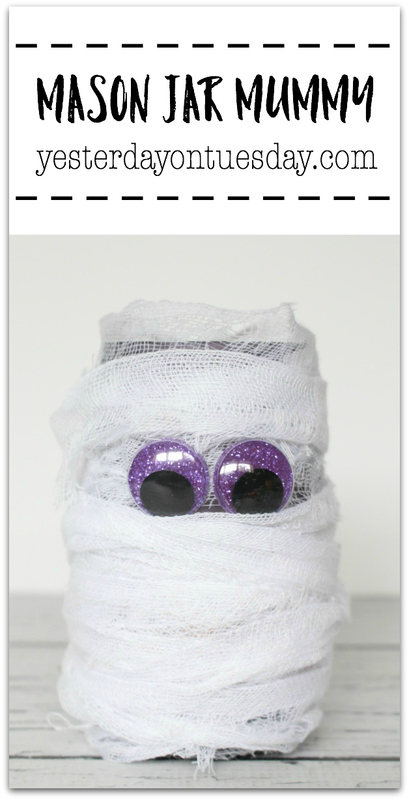 Mason Jars are fun any time of the year, especially Halloween! 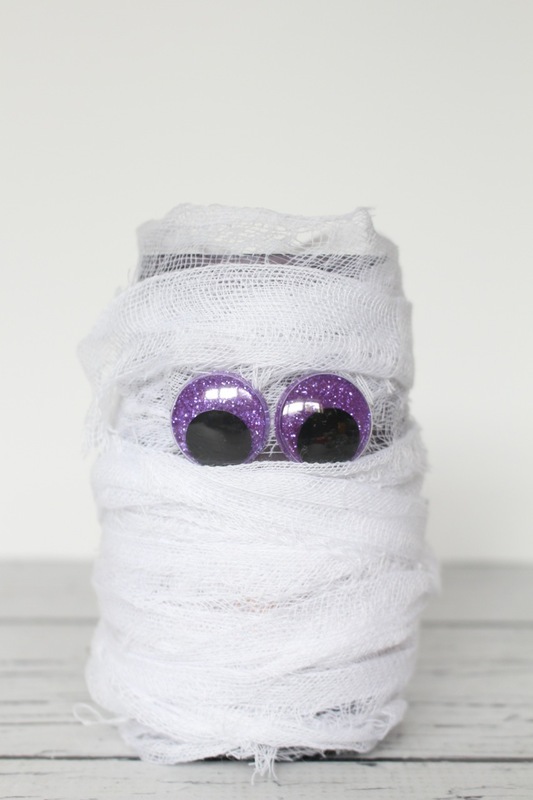 Here is a quick project to make your Halloween spooky… a DIY Mason Jar Mummy. 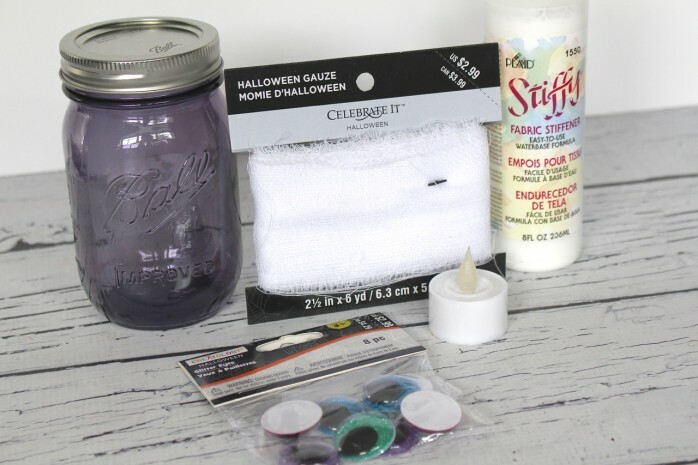 Supplies: Purple Pint Mason Jar, Halloween Gauze, Stiffy, Googly Eyes, flameless candle. 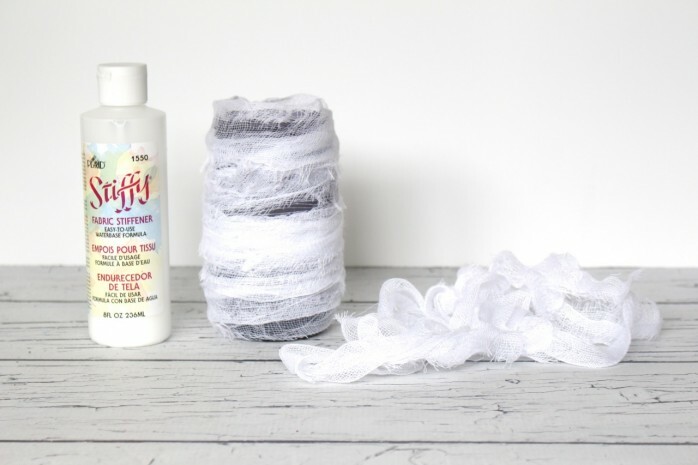 Simple paint some “Stiffy” on a piece of gauze and wrap it around the jar. After it hardens, add the eyes, then wrap more gauze on top. 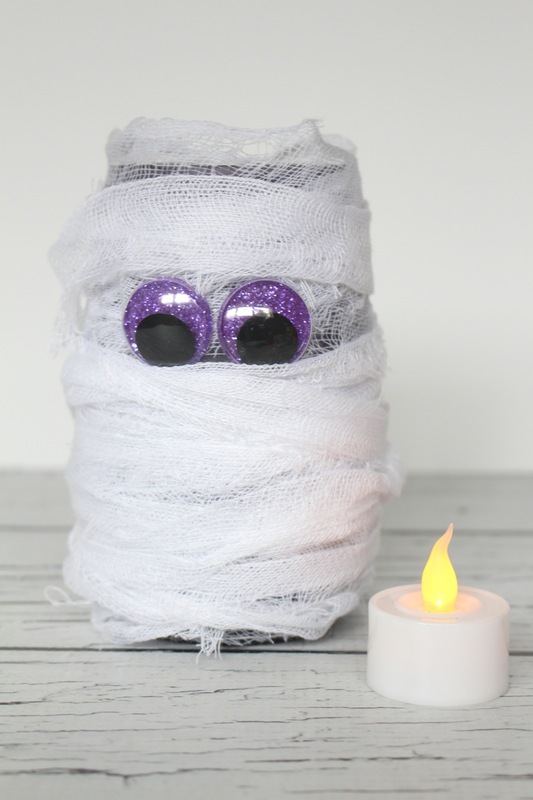 Then add a flameless candle. Happy Halloween! Check out more awesome fall themed mason jar craft.